THERE WILL BE A MOMENTARY PAUSE IN POSTING AT THEREARENOSUNGLASSES. WILL RESUME AS SOON AS POSSIBLE. Shipping freight rates for transporting containers from ports in Asia to Northern Europe plunged by 27.9 percent to $295 per 20-foot container (TEU) in the week ending on Friday, one source with access to data from the Shanghai Containerized Freight Index told Reuters. The drop came after spot freight rates on the world’s busiest route dropped 39.3 percent last week, and the current rates are widely seen as loss-making levels for container shipping companies. The spot freight rates for transporting containers, carrying anything from flat-screen TVs to sportswear from Asia to Northern Europe, has fallen 70 percent in three weeks. In the week to Friday, container freight rates fell 22.5 percent from Asia to ports in the Mediterranean, dropped 8.6 percent to ports on the U.S. West Coast and were down 8.0 percent to ports on the U.S. East Coast. Now where have we seen this massive unprecedented decoupling before? But somewhere between collapsing oil prices, dollar strength, and consumer lethargy the economy’s narrative has drifted off plot. The theme has transitioned from one of renewed growth and recovery to one of recurring sickness and stagnation. Mass malinvestments in U.S. shale oil, Brazilian mines, and Chinese factories and real estate must be reckoned with. Price adjustments, bankruptcies, and debt restructuring must be painfully worked through like a strawberry picker hunkered over a seemingly endless furrow row of over ripening fruits. Sore backs, burnt necks, and tender fingers are what the over-all economy has in front of it. The U.S. economy is not immune to the global disorder after all. The medical uses of cannabis and its derivatives are continuing to be discovered at an astonishing rate. This is despite the fact that U.S. government clings to an absurd, baseless classification of cannabis as a Schedule I drug, which severely limits research and scientific advancement. We recently reported on two rather surprising fields that could benefit from medical cannabis, as well as clinical data that backs its use for Attention Deficit Hyperactivity Disorder (ADHD). The diversity of medical uses for cannabis lies in its ability to stimulate cannabinoid receptors in the brain, which are fundamental to the proper functioning of physiological systems. A survey of 446 patients with traumatic brain injuries was carried out by the Los Angeles Biomedical Research Institute (La BioMed). The results, reported in The American Surgeon, found a strong association between cannabis use and survival of the trauma. There is strong rationale for conducting clinical trials on trauma patients using medical cannabis. The case was bolstered by Israeli researchers, who found that the timely application of cannabinoids can prevent negative effects of PTSD. Administering synthetic marijuana (cannabinoids) soon after a traumatic event can prevent PTSD-like (post-traumatic stress disorder) symptoms in rats, caused by the trauma and by trauma reminders. Another important finding of the study is that cannabinoid substances are better at treating PTSD than SSRI antidepressants, which bring a host of negative side-effects including violent tendencies. 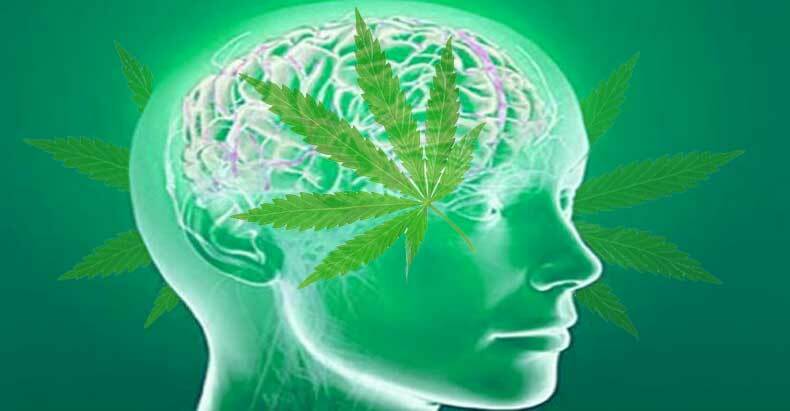 Other research is showing more potential for medical cannabis to treat problems of the mind. Cannabinoids may reduce depression that results from chronic stress, according to scientists at the University at Buffalo’s Research Institute on Addictions. Chronis stress reduces the production of endocannabinoids, which are naturally produced compounds similar to chemicals found in cannabis. This loss can be supplemented with cannabinoids. The research again makes a strong case for clinical trials in humans, particularly by using the non-psychoactive cannabis extract cannabidiol (CBD). The wide variety of studies being carried out on the medically useful properties of cannabis is a challenge to the absurd nature of prohibition. For decades, government attempted to deny citizens of their human right to use this plant, but this is crumbling quickly in the face of scientific advancement. Russia’s Crimea has switched to autonomous reserve power after transmission towers in the adjacent Ukrainian Kherson region were blown up, causing a blackout. Meanwhile, the Right Sector and Crimean Tatar “activists” have been attempting to block repairs. Crimean authorities rushed to connect hospitals and other vital infrastructure to reserve power stations and generators late on Saturday after the four main transmission lines from Ukraine were cut off in an apparent act of sabotage. The regional energy ministry has created an emergency response center to deal with the power cut. “Crimea has been completely cut off,” the Krymenergo energy company’s director Viktor Plakida told TASS, adding that he could not immediately provide any more details. The Crimean Emergencies Ministry has declared a state of emergency due to the complete power outage and has put rescue teams on high alert. Nearly 1.9 million people have been left partly or fully without electricity. While important public facilities and infrastructure have been wired up to reserve sources of energy, homes all across the region have been left in the dark. Meanwhile, Ukrainian police and journalists simultaneously posted social media reports of explosions in Chaplinka in the Kherson region, where power transmission towers supporting the lines delivering energy to Crimea are located. Photos of severed towers with a Crimean-Tatar flag hanging on one of them have been posted online. Earlier on Friday, unidentified saboteurs damaged two of Kherson’s four electricity transmission towers, prompting Crimean authorities to issue warnings of possible power cuts. However, when local Ukrainian repairs crews attempted to reach the site, they were blocked by Crimean Tatar activists and Right Sector militants, who proclaimed they were taking the area “under protection,” TASS reported. The stand-off ended in clashes with Ukrainian riot police, who were dispatched to the site. Several activists were slightly injured, while one police officer was stabbed during the turmoil. While the Ukrenergo energy company’s maintenance crew finally managed to start the repair work, dozens of Crimean Tatars gathered in Kiev at the presidential administration building to protest the police response. Radical activists called for resistance to any attempts by Ukrainian authorities to undermine the so-called “blockade” of Crimea that has been organized by several activist groups in Kherson and had initially targeted Ukrainian vehicles transporting goods for sale to the peninsula. The Crimean power grid has been working in standalone mode since the incident. “Due to the complete shut off from the Ukrainian power grid, Crimean grid is operating in standalone mode,” TASS quoted a local emergency response unit as saying. It could take up to 48 hours to repair the damage on the Ukrainian side, and reestablish the power supply to Crimea, a source from Ukrenergo told RIA Novosti. All Crimean medical facilities are connected to backup power supplies and their operations will not be affected, Crimea’s first vice premier, Mikhail Sheremet, told journalists. TV and radio broadcasting services will not be interrupted and are currently using an autonomous power supply, Russia’s Ministry of Telecom and Mass Communications said. However, Sheremet warned that Crimea will be able to make up for no more than 50 percent of its daily power consumption autonomously, even after resorting to additional wind power and solar energy. “Our demand today is 1200 Megawatt. At the present point, with all the power sources, we could have about 600 Megawatt. This is under the most favorable conditions,” the official predicted. The local airport, Kerch Strait ferry line to mainland Russia, as well as bus and railway stations are operating normally, the head of information department within the local emergency services Vladimir Ivanov said. Russia’s Black Sea Fleet in Sevastopol has continued to operate on reserve power, the city’s governor, Sergey Menyaylo, has said. Meanwhile, the Crimean energy company stated that the region’s reserve power stations could last up to 25 days independently. Petrol filling stations will be contributing to the work of the reserve mobile stations. Abdeslam Salah is the subject of an international arrest warrant by French police. The brother of wanted Paris attacks Salah Abdeslam on Monday told the Belgian TV RTBF channel that he did not know where he was. He added that his sibling was a « normal lad ». Profile of Jihadist and Islamic State organisation recruitment methods. « As far as my brother is concerned, we don’t know where he is right now, » Mohammed Abdeslam told RTBF in Brussels after he was released by police without charge after two days in detention. Salah Abdeslam is not only suspected of firing at people with a kalashnikov on Friday night, but also of being the logistics provider of the Paris terror attacks.Neither his family nor his employer noticed anything untoward with the 26-year-old former Brussels tram worker who is the subject of an international arrest warrant by French police. « He was fired because of his repeated absences, » said the Belgian tram company Stib. « We have no information about him » being radicalised at that time. « He was not reported as radicalised, » added Stib. « Among hundreds of youngsters we monitor, some have never been to a mosque, » said Dounia Bouzar, head of a sectarianism prevention centre. « But some go to Daesh without ever having met a Muslim, » she told to France2 television on Monday night. His brother Mohammed has also insisted that the alleged radicalisation of his brother did not come to anyone’s attention. Salah seems to be a « normal lad, (…) he has not yet been interviewed by the police. We don’t know what really happened, we don’t know in the present climate if Salah will dare surrender to police ». « We are an open-minded family, we have never had any trouble with the police, » added Mohammed. Undoubtedly, the Muslim movements which exclude reason from their teachings don’t encourage young people to question their own understanding of religious texts, but drive them into adopting repetitious and mimetic automatisms, to adopt a herd behaviour. « The Daesh recruitment handbook clearly calls for the targeting youngsters who know nothing about Islam, who are not practising believers, who are socially isolated. (…) It’s Daesh’s objective to manipulate youngsters with no religious knowledge, because they are easier to brainwash, » Bouzar said on France2. « It’s the beginning of a recruitment process that leads to psychological and emotional isolation, in a bid to escape the real world ». Also, in its final stage, « Daesh proposes a final confrontation with the real world », she added. A female terror suspect who died during a police siege in the Paris suburb of Saint-Denis did not blow herself up, French investigators have revealed, but was killed when somebody standing next her detonated a suicide vest. The body of Hasna Aït Boulahcen, widely believed to be France’s first female kamikaze, was one of three found in a third-floor flat at rue du Corbillon in the suburb of Saint-Denis, north of Paris, after a seven-hour shootout on Wednesday morning. Amateur video of the police shootout, which was shown on French television, captured a member of the armed intervention force shouting: “Where’s your boyfriend?” A woman’s voice replies: “It’s not my boyfriend,” before a volley of shots and a loud explosion is heard. A neighbour, Christian, 20, reported hearing a blonde woman he believed was Aït Boulahcen shouting “help me, help me, help me,” and police ordering her to raise her hands before hearing a burst of gunfire. Investigators were unable to say whether the suspect who triggered a suicide vest was Abdelhamid Abaaoud, the suspected ringleader of the Paris bombings and shootings a week ago, that left 130 dead. The apartment was completely destroyed and investigators have had difficulty identifying what was left of the bodies inside. “At the moment we cannot say if it was Abaaoud who blew himself up,” she added. It was Aït Boulahcen, who friends said had been radicalised only six months ago, who led investigators to the Saint-Denis apartment, where at least six terror suspects were holed up and possibly planning a further attack. Her phone was being tapped and her bank account monitored. She had expressed a wish to travel to Syria and become a jihadi, but recordings of her phone conversations allegedly showed she was “in a panic” when she learned her cousin Abaaoud had returned to Europe from Syria and was in France. Aït Boulahcen has been described by friends and relatives as an unstable, lost soul who until recently smoked, drank vodka and liked to party. She was said to have “lived in her own world” after a troubled and disruptive childhood. Paris investigators formally identified her on Friday after DNA tests on human remains found in the rubble of the apartment. A passport in her name was found in a handbag nearby. Her mother said she had been brainwashed by extremists and apparently taken up with an Islamic State cell led by Abaaoud. Neighbours on the run-down estate where her mother lived said they had last seen her 10 days ago. They said they had been shocked when the young woman, described as a talkative tomboy who wore jeans and sunglasses, transformed into an apparently devout Muslim around six months ago. Born in August 1989, Aït Boulahcen was a toddler when her family moved to the Rose-des-Vents (Compass Rose) estate, known locally as The 3,000 (the number of apartments), in Aulnay-souys-Bois, whose romantic name belies its reputation as one of Paris’s most troubled suburbs. Her parents, both from Morocco, separated shortly after the move, and her father moved out and went to work for Peugeot in Lorraine, eastern France. French media reported that Aït Boulahcen’s was placed with a foster family from the age of eight until she was 15. “At first everything went well. She was a child like any other,” said her foster mother, who insisted on remaining anonymous. However, there was one thing that marked her out from other children, the foster mother added: she never showed or sought the slightest sign of affection. Her foster mother believed her troubles followed the monthly visits to one of her parents. “For me, the problems stemmed from there,” she said. On 11 September 2001, she was shocked to discover Aït Boulahcen “applauding in front of the television” at reports of the attacks in New York. In the end she was “doing just what she wanted”, sometimes shouting, other times sulking and refusing to speak. “She would roll herself up in her duvet with her head hidden. She would say the devil was there in the night,” the foster mother said. At the age of 15, Aït Boulahcen walked out on the foster family. “When she left, I told myself, she is lost,” said the foster mother, adding that she had not seen her former charge since 2008. On Thursday, when she saw her again, it was on the television and Aït Boulahcen was dead. Youssouf said his relationship with his sister was complicated. “She spent her time criticising everything. She refused to accept any advice, she didn’t want to sort herself out. On the rare occasions that I spoke to her it was to tell her to behave better, to have a better attitude, to be more easygoing about her strict dress code. Youssouf said that in one of their last conversations his sister had told him: “Live your life and I’ll live mine.” He said she went to live with a friend in Drancy about three weeks ago. Khemissa, one of Aït Boulahcen’s close friends, told Le Parisien she had a reputation as a “crazy girl … who smoked dope and danced all night on the street, in rapper or cowboy mode, with her cowboy boots. Those who knew Aït Boulahcen at Creutzwald, where her guitar-playing father lived, described her as an extrovert who “loved partying and going to clubs” as well as drinking and occasionally smoking. “She had lots of boyfriends, but nothing serious. She had no real friends, just people she hung out with. When you don’t have a family it’s easier to get into bad things,” one friend said. “She wasn’t religious at all,” another added. At one point she was registered as the owner of a building company, Beko Construction, which appears to have gone into liquidation two years ago. Her mother, 58, who was taken into police custody after her daughter’s links with terrorist groups was revealed, said Aït Boulahcen had undergone a “metamorphosis … a brainwashing”. Neighbours in Aulnay-sous-Bois told journalists that the last time they saw her was 10 days ago. At this time she was already under police surveillance for suspected drug dealing, thought to be “feeding the radicalised, in arms and money”. Further phone taps revealed her connection to the Islamic State commando teams that carried out the devastating attacks on Paris on Friday 13 November. The control of the strategic Kunduz city in northern Afghanistan fell to Taliban control due to government’s failure in leadership and structural complexity. 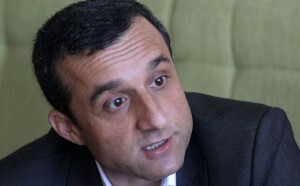 The former Afghan intelligence chief Amrullah Saleh who was leading a delegation to investigate the fall of Kunduz city said Saturday that over 2,000 documents related to the fall of Kunduz were reviewed besides interviewing several people including government officials and ordinary citizens. He said the delegation did not find any evidences regarding the involvement of any conspiracy in the fall of the city. According to Saleh, the delegation concentrated on three main subjects, including strategic leadership, condition of institutions structure and condition of access to facilities. Saleh said one of the main strategic errors of the government ahead of fall of the city was ignorance of the fall of other districts of Kunduz province including Dasht-e-Archi and Chahar Dara. He also added that the Taliban militants continued to weaken the Afghan Local Police by taking control of Aqtash and Khanabad district. According to Saleh, the Taliban militants entered to Kunduz city after weakening the Afghan Local Police and in the meantime starting war in the other parts of the north including Badakhshan, forcing the Afghan National Army troops to disperse. He said there was a vacuum in the leadership as the Taliban launched coordinated attack on Kunduz city on 28th September and called US air support as the turning point in Kunduz war as the Taliban militants were close to take control of the airport. Saleh said the delegation has exposed vacuums available in the operational method of the National Security Council led by President Mohammad Ashraf Ghani in their report, calling it a main factor which led to the fall of Kunduz city. He also added that all the institutions and government officials who are to be blamed for the fall of the city, mainly due to negligence have bee exposed in their report.